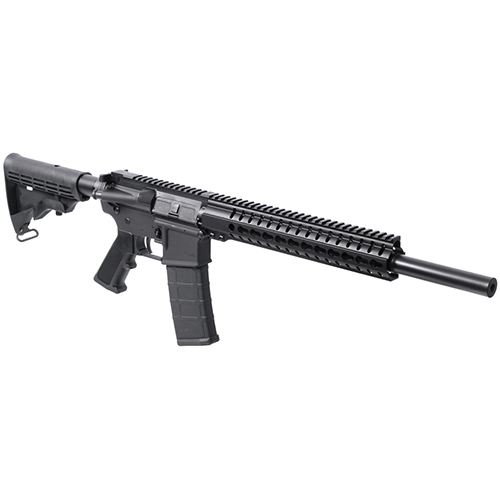 CMMG 55AACF1 Mk4 B16 Semi-Automatic 223 Remington|5.56 NATO 16 30+1 6-Position Black Stk Black Nitride in. When modularity accuracy and quality are all important the Mk4 B16 is the rifle of choice. The Mk4 B16 features CMMGs RKM11 KeyMod freefloat hand guard and nitrided bull barrel to maximize shot repeatability.